What do you say when you’re face to face with Derek Jeter? What question hasn’t he been asked a hundred times by the thousands of reporters during his career? A man who is as guarded and bland as he is with the media, is there anything I could say or ask to get him to open up? These are the questions I asked myself as I tossed and turned in my hotel room bed at the Hilton Westshore in Tampa, Fla., the night before I would attend a New York Yankees spring training game as a member of the media. It was Monday, March 12, 2012. I wanted to talk to Jeter. He was an obvious choice, seeing as he is one of the most recognizable, most branded and most iconic athletes on the planet. He’s a champion, a soon-to-be Hall of Famer and the captain of the most popular sports franchise. I was intrigued. I wanted to see for myself what all the fuss was about. I worked in print media for 16 years, though I never fretted over an interview as much as I did with this one. Rightfully so. Regardless who a reporter is interviewing, he/she should always ask this question before the interview starts: Why would anyone want to read this story I’m about to create? Your company should consider this when it wants to share news with the public. Why will anyone in the community be interested in this? For a reporter, don’t be lazy and follow the lead of your competition. Find a unique hook that will have your interviewee and your audience engaged. This may require some homework. Most journalists, thanks to shrinking newsrooms and subsequent responsibilities, don’t have the time to conduct the necessary homework. Tell a story that you’ll be proud of. Tell a story that will be of interest to your readers/listeners. Of course, this all starts with your line of questions. What question can you ask that will result in the answer you desire? For a business, what story can you tell that will gain traction with your customer base? 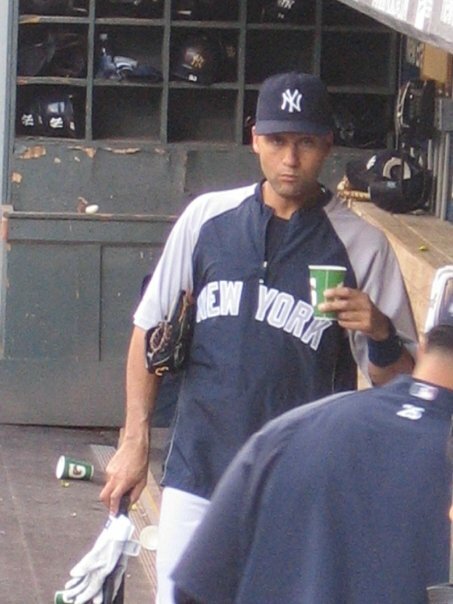 For me, what new approach can I take with Derek Jeter? I soon learned it was a worthy story to share, but not in the manner I expected.